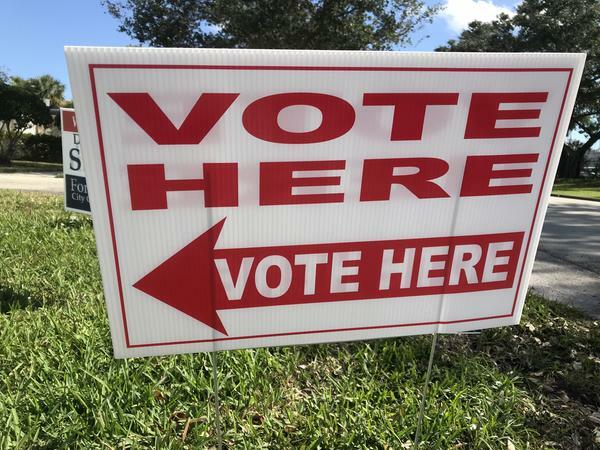 Previous versions of legislation in both the Florida House and Senate have required that all financial obligations associated with a felony conviction be paid before the right to vote is restored, something critics have likened to a "poll tax." However, the latest amendment to SB 7089, filed by Sens. Jeffrey Brandes and Keith Perry, exempts money owed that a judge allows to be converted into a civil lien. More than $440 million in fines and fees associated with felony convictions were reduced to civil liens between 2013 and 2018 across the state, according to a WLRN analysis of reports from the Florida Clerks and Comptrollers, a statewide association. That accounts for 43.6 percent of the total money in fines and fees for felony crimes levied across the state for that five-year period. The total assessed by the state during that time period was $1,010,316,744, according to the reports. The money would still technically be owed, but it would not impact the person's right to vote because it has been separated from a criminal case. Neil Volz, the political director for the Florida Rights Restoration Coalition, which helped get the amendment on the ballot, said the latest version of the bill is a small version in what has been an uphill battle to have Amendment 4 fully implemented as it was intended. But that consolation only goes so far, he added. Advocates for the Florida Rights Restoration Coalition, the American Civil Liberties Union of Florida and the League of Women Voters have voiced concerns about legislation that requires someone to pay all their financial obligations before they complete a criminal sentence. The vast majority of fines and fees owed for felony convictions go unpaid because the perpetrator is too poor to pay. Only the dollar amounts are shown in the Florida Clerks and Comptrollers reports; it’s not clear how many individuals the exemption would impact. The exception notably does not apply to money owed for restitution which has been converted into a civil lien. That would still leave someone like Coral Nichols, who testified before the House Judiciary Committee earlier this month, unable to vote for the foreseeable future. Nichols served a seven-year prison sentence for embezzlement, and owes $190,000 in restitution. That restitution was converted to a civil lien by her judge, and she pays $100 a month towards it, which is all she can afford. No state agency tracks the total amount of money owed in restitution.